The Dental Anthropology Group of the Centro Nacional de Investigación sobre la Evolución Humana (CENIEH) has just published a paper on dental histology in the journal Comptes Rendus PALEVOL, in which a comparison is made for the first time between the sample from the Sima de los Huesos site, in Atapuerca (Burgos), and dental samples from the Neanderthal site of Krapina, in Croatia, as well as with different modern human populations. This is a comparative study centering on the canines, in which certain dental pieces from Homo antecessorwere included, whose results make it clear that the Pleistocene populations at Atapuerca already showed the pattern considered typically Neanderthal in their enamel and dentine volumes. “The teeth from Sima de los Huesos exhibit large coronal and root dentine dimensions, as well as thin enamel. This histological pattern has traditionally been considered a distinctive trait of the Neanderthals, and it has allowed them to be distinguished both from other groups and from modern humans”, according to Cecilia García Campos, lead author of the paper. Further, the results of this study might support an early appearance of this highly characteristic dental trait, which had been observed as early as 800,000 years ago in Homo antecessor, and maintained in later groups during the Middle Pleistocene. The fossils found at Sima de los Huesos were initially considered to belong to the taxon Homo heidelbergensis, a species which populated Europe before the Neanderthals, so named from the mandible found in the locality of Heidelberg (Germany). Nevertheless, a study led by Juan Luis Arsuaga, from Centro Mixto UCM-ISCIII de Evolución y Comportamiento Humanos of Madrid, published in 2014 in the journal Science, raised doubts about this assignment, and suggested removing the population at Sima from this taxon because of its evident similarities to Homo neanderthalensis. Later, two genetic studies of Sima de los Huesos, published in the journal Nature in 2014 and 2016, underpinned this decision by showing that these hominins belonged to the Neanderthal evolutionary lineage because of their close relationship to the ancestors of the Neanderthals. 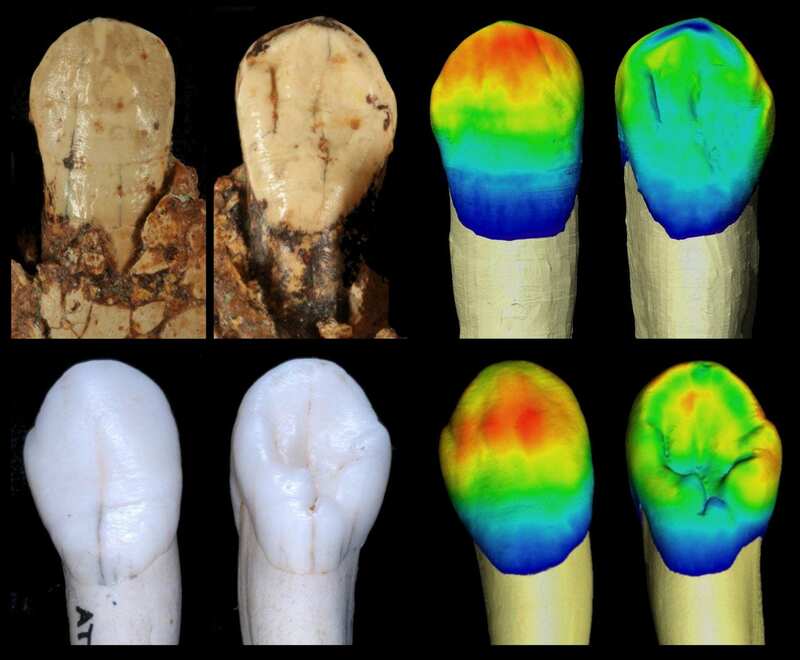 “The dental histology results obtained for the individuals at la Sima de los Huesos support the close relationship there must have been between the Middle Pleistocene hominins at Atapuerca and the later Neanderthal groups living in Europe”, adds García Campos.